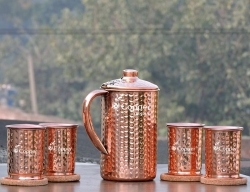 Intricate floral pattern engraving on the outer wall for a vintage look. 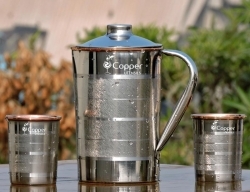 Comes with a matching lid to prevent dust from getting into the jug. 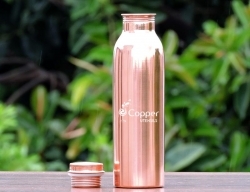 Great way to start drinking copper treated water on a daily basis. Copper vessels enhance the taste and ensure a healthy heart. 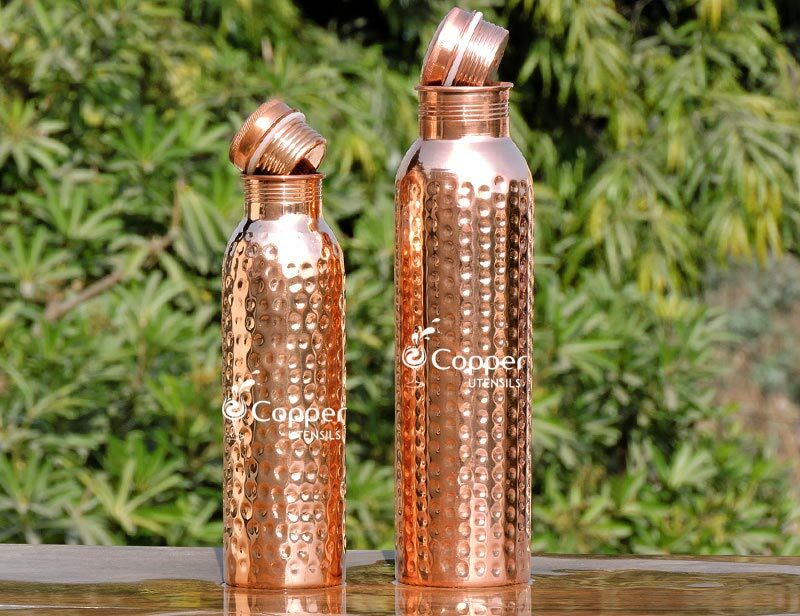 Copper which inherently dissolves in water has the property of decreasing fat and triglycerides which are main causes of heart ailment. 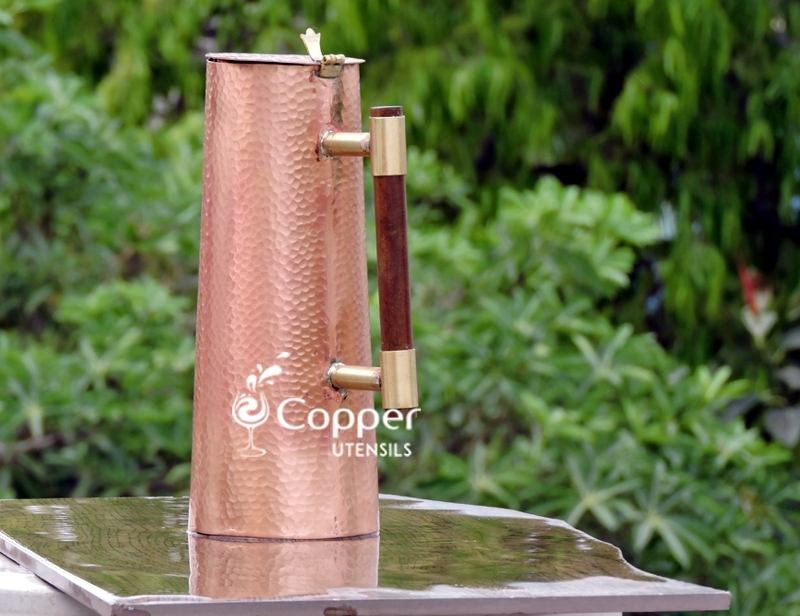 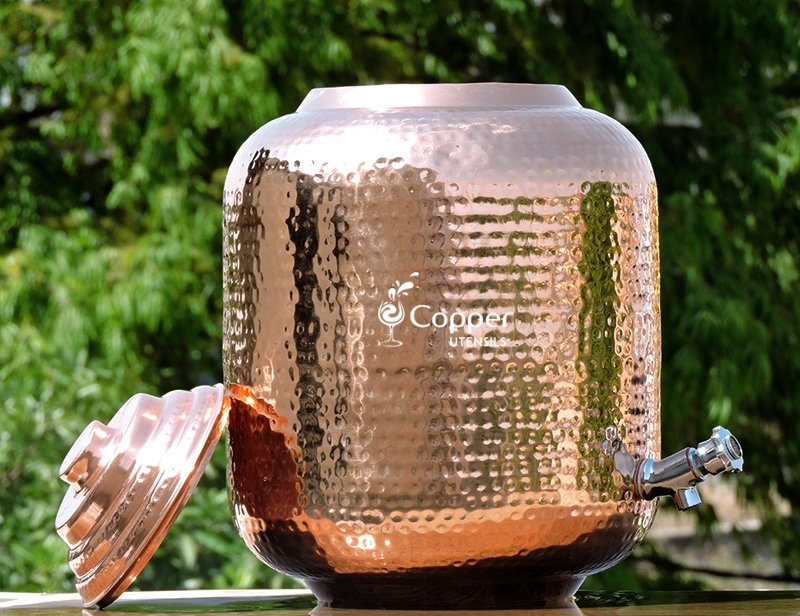 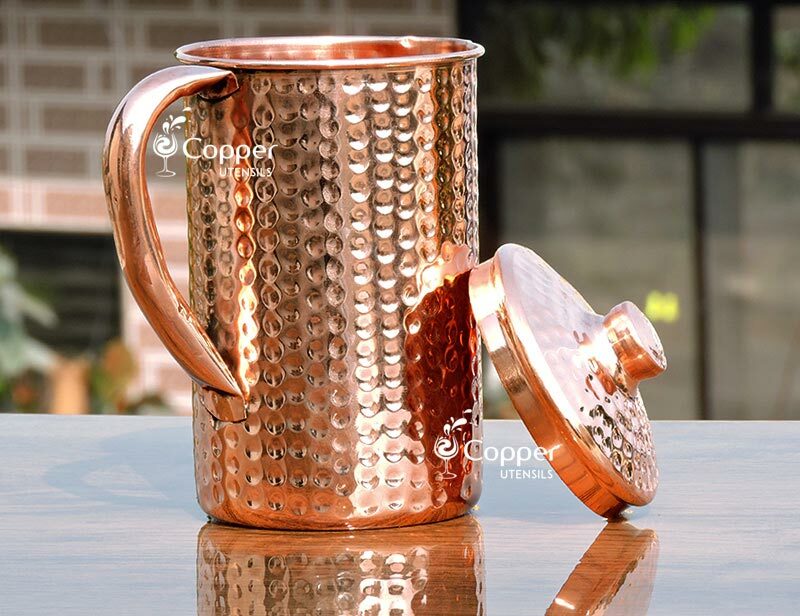 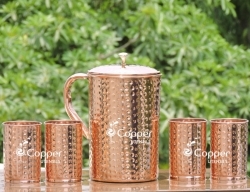 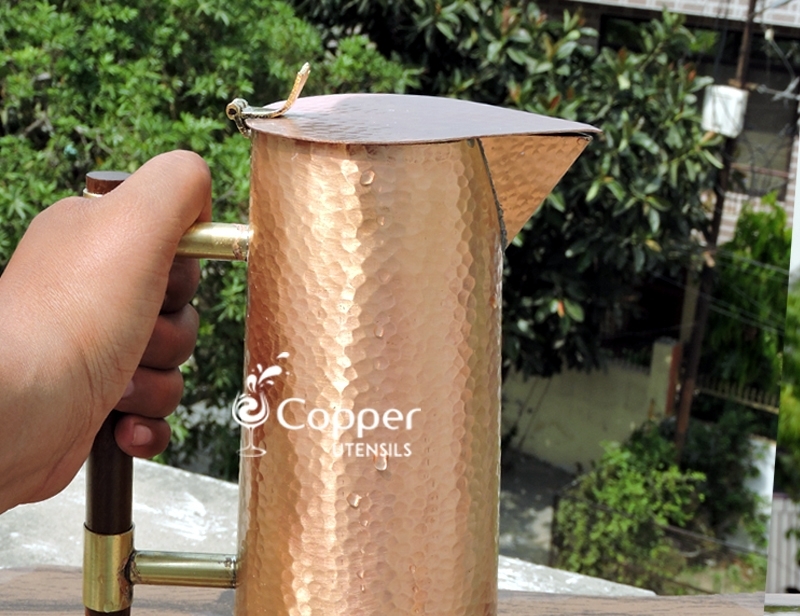 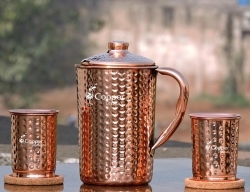 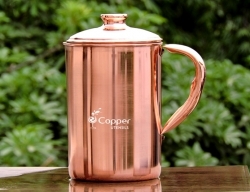 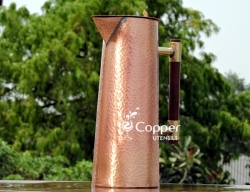 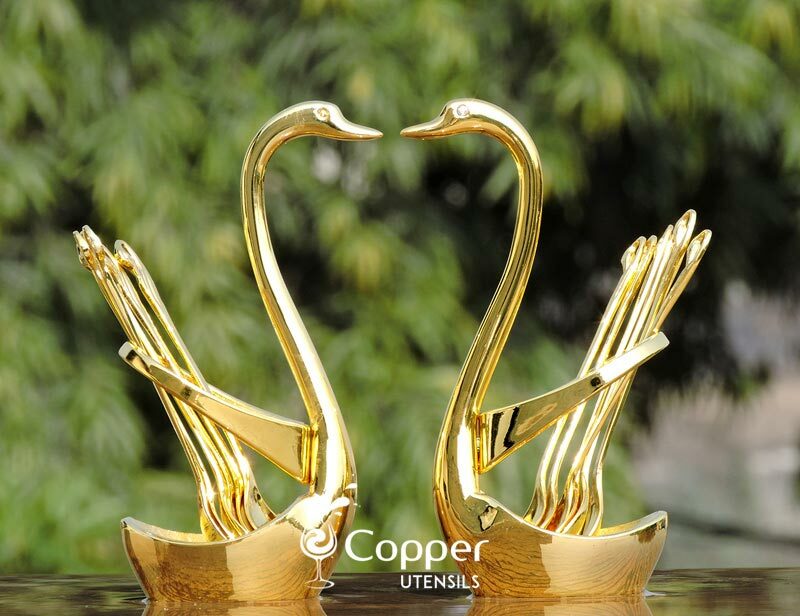 Copper designer jug is an exclusive piece of art which has inherent health benefits. 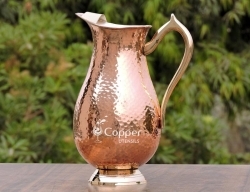 The copper dissolved in water removes plaque from the veins and arteries, improving blood flow. 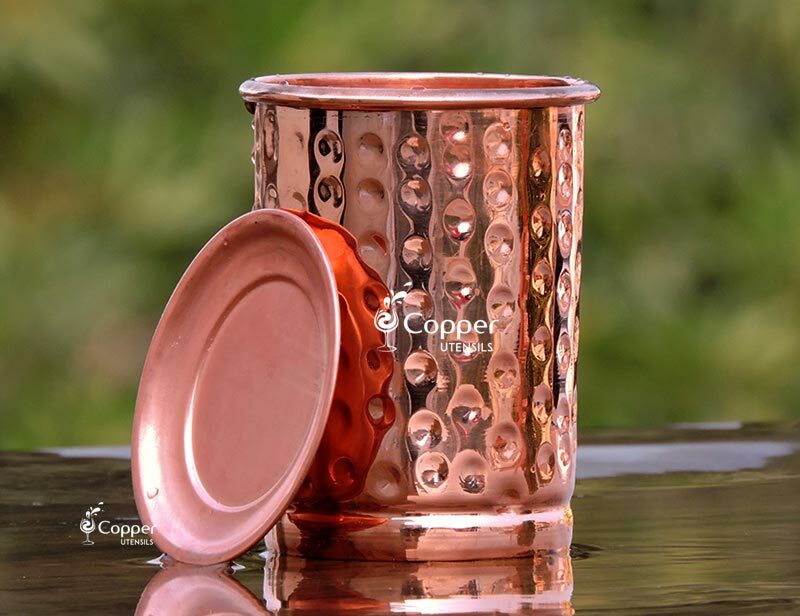 Increasing pollution and chemicals used in food has resulting in increasing number of cancer cases. 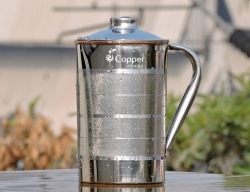 The main reason for cancer is free radicals present in common pollutants. 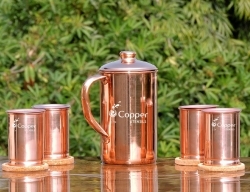 Copper with natural anti-oxidant properties nullifies the effect of free radicals. 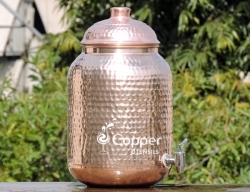 This results in an effective way to prevent cancer. 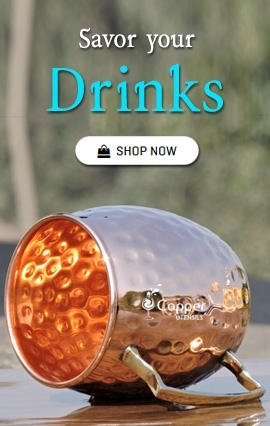 The American cancer society agrees with this fact and research is going on to find the cause behind this. 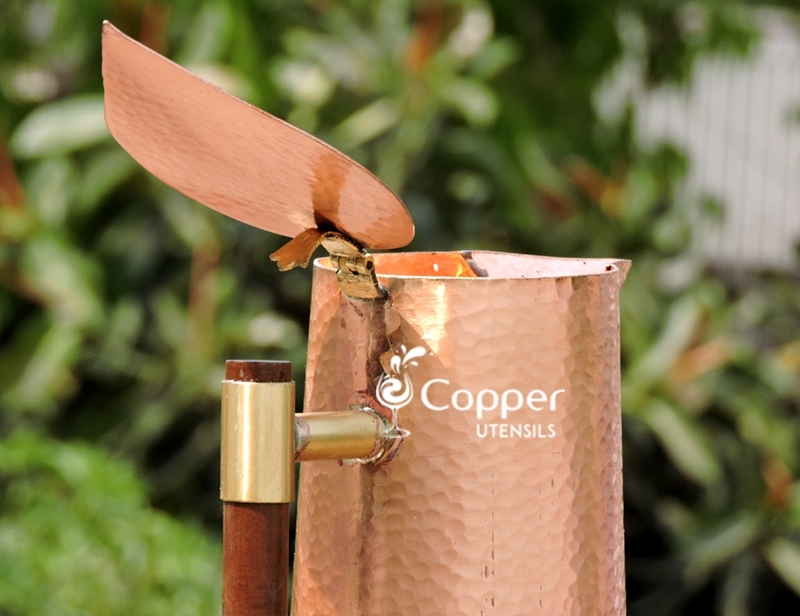 Customer complaining about copper utensils developing dark spots is common. 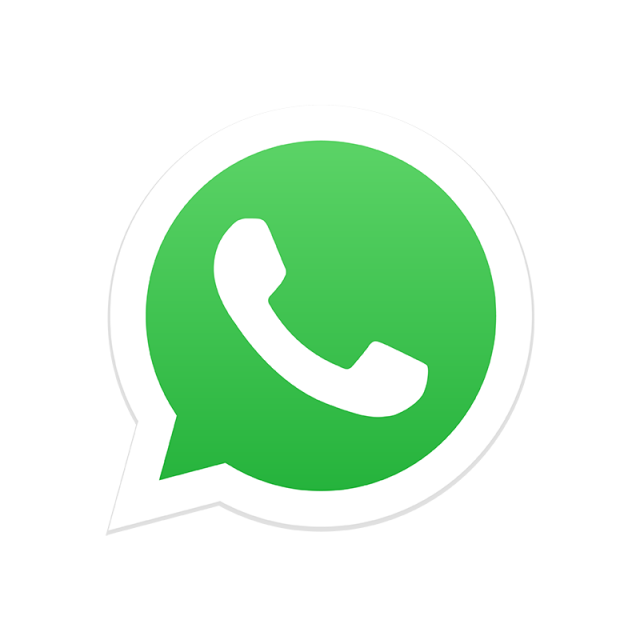 This happens due to lack of maintenance. 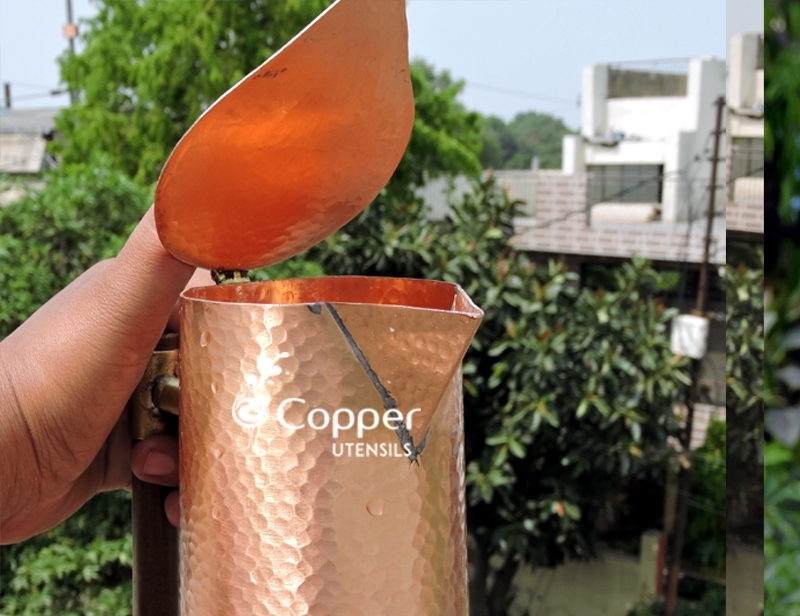 Maintaining a copper vessel is different from the usual steel utensils. 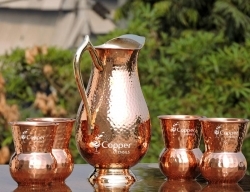 Usage of detergents also quickens the oxidization of copper. 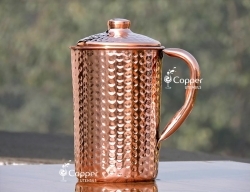 The way to maintain is to clean with lemon juice and salt solution. 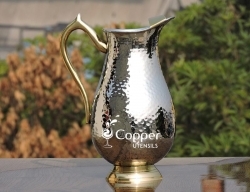 The cleaning can be done with lemon peels or soft cloth to avoid scratches to the glittering master piece. 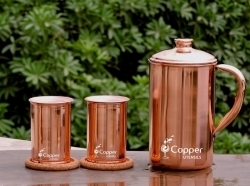 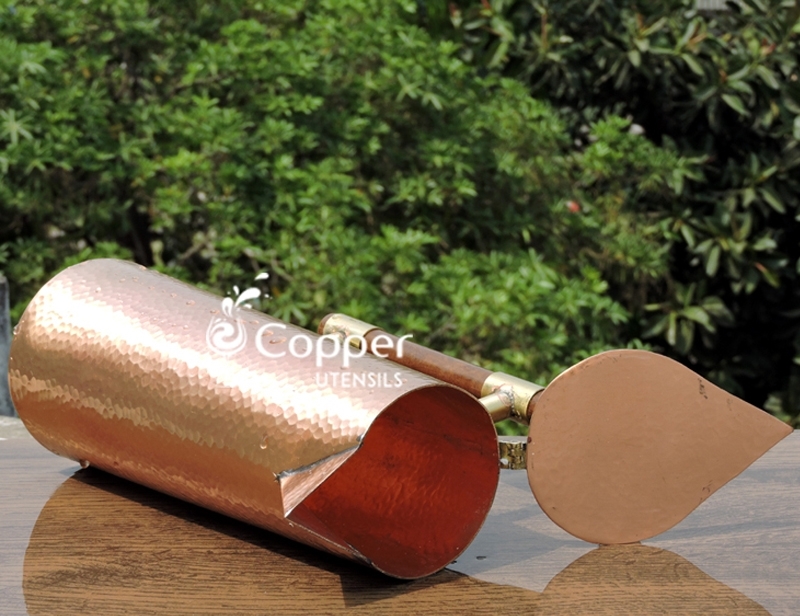 Its an excellent product made of copper as shown in the picture.